EDINBURG — Coming through fall practices and the early part of the spring, first-year UTRGV baseball coach Derek Matlock had plenty of questions about his pitching staff. As the team’s mid-February season opener drew closer, he began to find answers in unexpected places. First, redshirt senior Jorge Flores was deemed eligible, giving UTRGV a left-handed Saturday starter. Then, redshirt junior closer Ryan Jackson decided to return to the program after a year away from baseball. All the while, freshman Max Balderrama Jr. was developing into a reliable bullpen option and possible starter after being recruited as a position player. 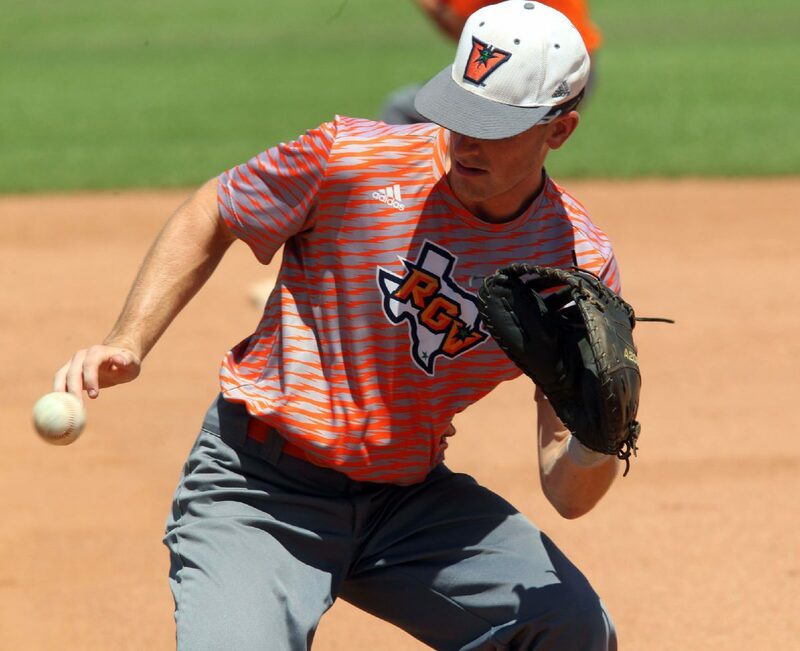 Together with returning ace Carter Johnson, junior college transfer and Sunday starter Trevelle Hill and a few bullpen stalwarts, the three newcomers have lifted UTRGV to the WAC’s best ERA at 3.73. UTRGV baseball player Austin Siener makes a catch during practice at UTRGV Wednesday March 21, 2018, in Edinburg. UTRGV baseball player David Becerra makes a throw to first during practice at UTRGV Wednesday March 21, 2018, in Edinburg. Johnson is slated to reprise his role as the Friday starter when UTRGV (13-9) opens WAC play against CSU Bakersfield (9-13) at 7 tonight at UTRGV Baseball Stadium. Last season, Johnson went 5-5 with a 2.70 ERA and 87 strikeouts in 80 innings. Matlock said Johnson returned from this year’s Christmas break a little behind the rest of the staff in terms of building arm strength, leading to a lackluster opening outing. Johnson also pitched last week with a 102-degree fever, Matlock said, resulting in another sub-par performance. But in his middle three starts, he’s thrown 20 innings at a 1.35 ERA with 23 strikeouts, including seven no-hit innings against Maine on March 9. On the year, Johnson is 1-1 with a 2.48 ERA and 35 strikeouts in 29 innings. He said his fastball is up a tick from last season, topping out at 94 mph instead of 93. He also switched from a three-finger change-up back to a circle change-up, reverting an alteration he made last year. Johnson rarely dips that deep into his arsenal, instead leaning on a slider that sits between 82-84 mph as his secondary offering. Flores, a PSJA High grad, has emerged as a strong No. 2 option as a transfer from Louisiana Tech. After being out of action for about 22 months following Tommy John surgery, Flores is 2-1 with a 3.70 ERA and 27 strikeouts in 24 1/3 innings this season. Flores said his fastball is touching the low 90s in velocity, and that he’s developed a better curveball this year to complement his change-up. Most of the damage done against him came from one bad outing, as he allowed seven runs in 1/3 of an inning against Illinois Chicago on Feb. 24. Removing that start, his ERA is just 1.12. Matlock said Flores has dealt with only some occasional soreness, and that UTRGV will be careful with his usage going forward. Hill enters the first WAC weekend as UTRGV’s third starter after going 3-1 with a 2.96 ERA during the nonconference season. Hill struggled in his most recent outing, lacking his usual velocity and lasting just 2 1/3 innings Saturday against Eastern Michigan, but Matlock believes Hill will be back to full strength following a week of rest. Balderrama was also considered for that spot after throwing 4 1/3 scoreless innings with seven strikeouts in relief of Hill on Saturday. 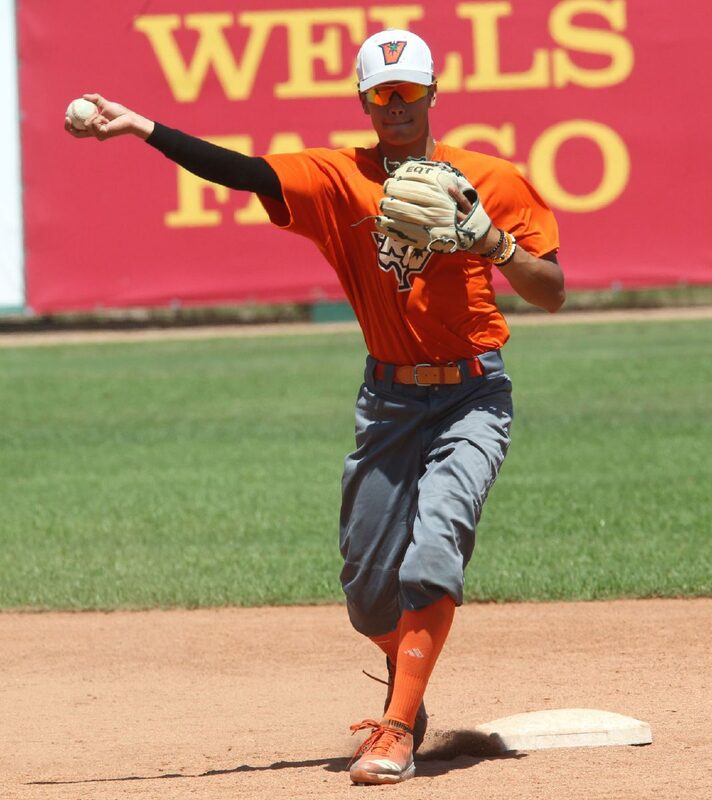 As a senior at Crosby High School, Balderrama made just one start, and he was recruited to UTRGV as a utility player. But Matlock and UTRGV’s coaches noticed his arm talent just from playing catch, so they inserted him into the pitching program. He made improvements each week, bumping his velocity from the mid-80s to low-90s and sharpening his secondary pitch. Balderrama slots in as the primary long-relief option in a bullpen that also includes closer Jackson, Luis Acosta, George Lamb, Juan Carreon II and converted midweek starter Chase Adams. Matlock said he’s seen UTRGV’s entire roster play with a chip on its shoulder after being picked to finish seven in the WAC in the preseason coaches poll.